Crazy_Ivan - Virginia Awesome tire but low tread life. 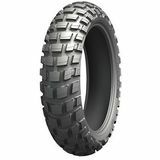 "Great all around tire. Purchased for my KLR. Excellent response on road and cornering on asphalt. Michelin claims this is a 50/50 but after 1200 miles the rear is half worn with little to no wear on the front." 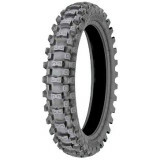 Pelon176 - Tx Crear tire "Excellent grip for supercross in stadium."